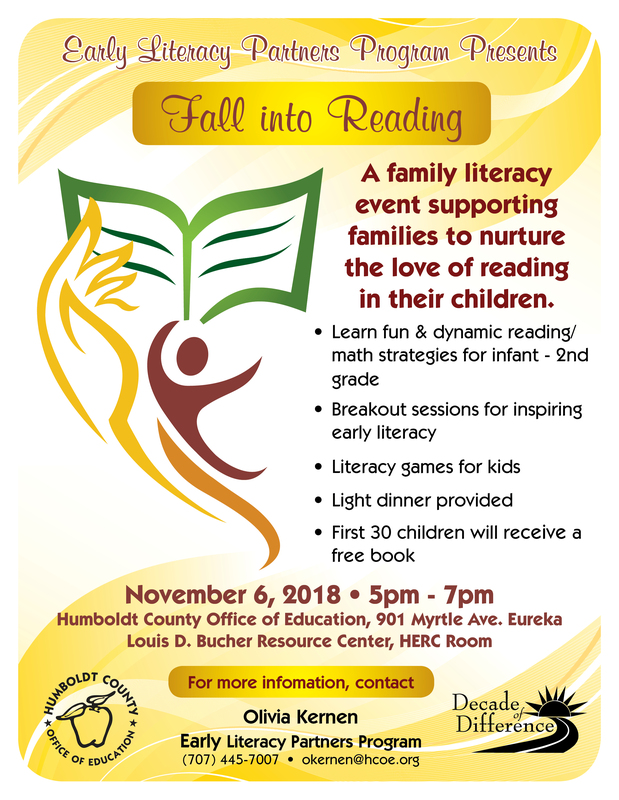 On November 6th from 5:00-7:00 pm the Early Literacy Partners Program will hold a special “Fall Into Reading” program. This event will include light dinner snacks, literacy activities for children and break-out sessions for parents. PLEASE share this information with your families by downloading the attached flyer, sharing through email or in your newsletter. We’d love to have a full house!